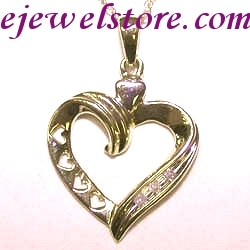 This charming heart shaped pendant has been crafted by expert jewelers and includes4 Genuine glistening white diamonds. I-J Colour, I1-I2 Clarity. 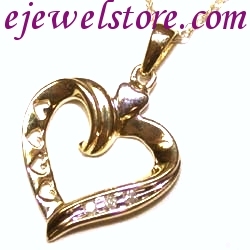 The diamonds are all precision set in a fabulous gold setting. 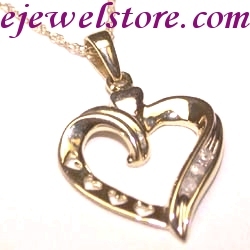 With the word 'love' on the back, this precious pendant is the perfect gift for that special someone.